Dubai, International Cricket Council has announced the latest t20 teams Ranking 2018. T20 Cricket is very interesting and world likely to watch this. 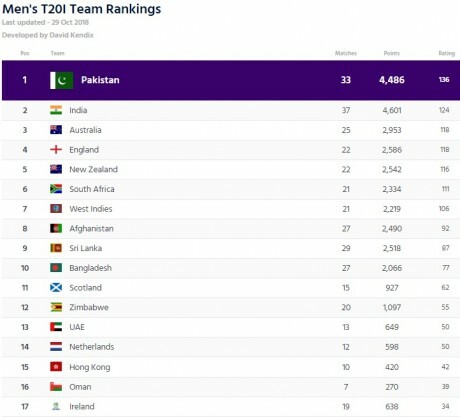 Pakistan is Number 1 T20 Cricket team in the world with 136 Rating while team india is Number 2nd with 124 Rating. Icc t20 Ranking table is here.